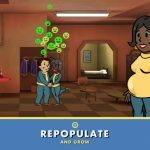 One year or so after the release of Bethesda’s popular title Fallout Shelter, Robot Gentleman has come up with a new game with a nuclear fallout setting, 60 Seconds! Atomic Adventure. This iOS game is described as a dark comedy atomic adventure of scavenge and survival. Your objective is to collect supplies and rescue your family before the atomic bomb hits you. You’ll have to stay alive in your fallout shelter, rationing out food, killing mutant roaches, and making all sorts of decisions to survive. 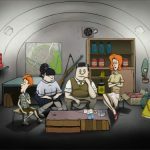 The game puts you in the role of responsible citizen and family man Ted, as you’ll get only 60 seconds left before the bomb drops as you search for your family and “useful” supplies. It’s probably not quite Fallout Shelter in terms of depth and intensity, but as you can see, acting quickly and doing all those things in 60 seconds isn’t the easiest thing to do. But you need not fear, as we’ve compiled a detailed guide for 60 Seconds! 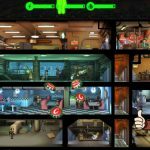 Atomic Adventure that includes all the things you need to do to stay alive and do all the things the game expects you to do. A complete “Apocalypse!” run on 60 Seconds comes with two different chapters, so to say – Scavenge, then Survival. 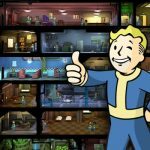 The first chapter will give you 60 seconds to make a mad dash around your home and gather supplies as you deposit each item in your fallout shelter. Survival, on the other hand, is the longer, more complex chapter, and it comes with a format reminiscent of those old Choose Your Own Adventure gamebooks, where you have to make certain decisions based on what you read on your journal for the day. These choices include how you should ration your supplies, whether you should have someone head to the surface, and what you should do when faced with random events. The objective of this chapter is, well, to survive until you’re rescued, so tough it out and make sure you’re making the right decisions! Contrary to what you may have thought from the last tip, Scavenge and Survival are actually independent from each other, and can be played separately. Scavenge is more of a casual gaming experience, though it’s one that helps you in acting and thinking quickly in 60 Seconds. Survival, on the other hand, has a longer, more drawn-out objective, and offers the more intensive gaming experience. 60 Seconds comes with three different levels of difficulty – Little Boy (easy), Fat Man (normal), and Tsar Bomba (hard). Each of these levels have their own accompanying variables, including Exploration Time (the quick period you have before scavenging that allows you to map out your plan), Scavenge Time ((the duration in which you have to gather all the stuff before the atomic bomb drops), and Stocked Shelter (the number of items in your shelter on Day 1 of Survival). For the latter variable, you’ll get all the items stated, and wouldn’t have to gather them via Scavenge. In most cases, you get extra food and water, and you may sometimes get bonus equipment. Also included among the variables are Packed Suitcase, which refers to the items in your suitcase, should you pick it up in the Scavenge chapter. This ranges from two items in your “Holiday Luggage,” or one item in your “Work Suitcase.” Items, regardless of difficulty, are random, but these are usually guns, gas masks, and other useful tools that aren’t food or water. Fragile Equipment determines how sturdy or how fragile your items are when used, and Health Issues refers to how quickly survivors fall ill or go insane. And, for one more pair of variables, Unwanted Visitors will show you how often any kind of outsiders, may they be friend or foe, would show up at your shelter and want to get in, and Trouble is your indicator that shows how often negative random events can throw a wrench into your plans. You only have 60 seconds of time to run to the fallout bunker with items, and that leaves you little time to think. But it may actually be better not to think that much, and just keep grabbing items. The bunker is always procedurally generated (read: random in terms of its content), and there may be some good use for the items you picked up, no matter how insignificant you may think they are. Read on and we’ll expound on this a lot further, and explain why you should pick up as many items as possible. Sometimes, you may pick up items that seemingly don’t have any use in a fallout bunker, and you may wonder whether you really need an item, say, a deck of cards, for that shelter of yours. Who would want to play cards, after all, when you’re thinking nuclear fallout? Then again, that deck of cards may be, and will be useful in minimizing the chances of survivors going insane in your bunker after being in close quarters for ages with no rescue in sight. There may also be seemingly inconsequential items that can help you escape, or could be used as a trade item to get something more useful in return. Going back to the example of playing cards, they just might come in handy in marking your location, or you can use them if someone offers a radio or other useful, working items in return. 6. Sustenance Or Survival Items? Of course, you should prioritize your family first and foremost (more on that later) when heading to the fallout shelter. But while we’re still taking about items, you should also know that certain items have more use at the start of the Survival chapter. Water, for instance, should be prioritized over food. It’s easier for people to die of starvation than of hunger, as they can last ten days without food, but just four days without water. Prioritize food next, then move on to your equipment. What types of equipment are best to pick up in this game? In the first two to three weeks of the Survival chapter, you’ll be dealing with lots of radiation surrounding your shelter. That means you should prioritize the gas mask when it comes to equipment. If you send off a family member without a gas mask, they may suffer the ill effects of radiation without a gas mask; don’t have them scavenge if you don’t have a gas mask to protect them. Keep on grabbing any item you can handle, but take note as well that some items are more important than others in the nuclear fallout world of 60 Seconds. It’s not just your home that’s randomized in 60 Seconds. The occurrence of events and their associated outcomes are also a random affair in this game. For example, traders may offer different items, and may want something different in return. Likewise, the army may ask for varying items in order for you to be rescued. The scavenged food you eat may be safe in one game, but they may cause everyone to fall sick if you eat them the next time around. Don’t do something just because you got good results by doing the same thing in an earlier game. Once again, the key word here is “procedurally generated,” and it all means randomized everything in 60 Seconds. Although a lot of the game is based on random happenings and environments, there are some things that you can always expect regardless of the playthrough. For instance, following what the army asks of you will always result in your rescue. Survivors can die if they starve or go thirsty for too long. And high radioactivity is always a harbinger of illness. Again, we should mention it, just in case it hasn’t been mentioned enough. Everything in 60 Seconds is based on random occurrence, and that includes the stock of your house. Look at the white outline through your house’s walls; locations of items may vary, but they will always look the same regardless of how often you play through the game. Use this white outline to determine whether you should enter a room or not, and feel free to enter if the outline tells you it’s worth it, even if you didn’t get good results in the last playthrough. It’s important that you take note of how much capacity is taken up by an item; that way, you can avoid having to carry too much, or not having enough room for other, more important items. Take the example of the suitcase, which takes up three spaces. You only have four available, so you shouldn’t grab a suitcase if two of your spaces are already occupied by one or more items. 10. What Happens When You Encounter Radiation? At some point or another, you’ll need to send some survivors off to scavenge. But it’s going to be very risky, as heading out to scavenge in the first two to three weeks will put survivors at a great risk of radiation poisoning; listen for the Geiger counter, as you can be confident radiation isn’t a big problem anymore if you stop hearing it in the morning. Not wearing a gas mask is a surefire way to ensure a survivor returns ill after scavenging. As such, you should make sure each scavenger wears a gas mask, that you have med kits in case someone gets sick, or if the scavenger won’t be a significant loss to your group in case they fall ill or die. Another thing to keep in mind when dealing with scavengers is making sure you do NOT have them do their dirty work with items that are currently required in a Survival arc. That’s because the items will become unusable due to the radiation once they return. That can come back to bite you if the army wants something specific so you can push forward in the arc. And that will, of course, prevent you from making progress; armies can very easily end up asking for that one thing that happens to be contaminated. Be careful when allocating items to your scavengers, as it can often be risky. What happens if Ted has only one family member remaining in the bunker? Don’t send that person out to scavenge, as you (playing Ted, of course) may end up all alone in the shelter, making you fair game to invading cockroaches, raiders, and other baddies of this post-nuclear fallout world. That’s going to end your game and force you to start from square one. Of course, friendly people and traders may show up, but there’s always the chance you’ll be invaded by enemies in such a situation. Remember what we told you about things having different outcomes due to the random aspect of the game? Going back to that for a bit, there are some parts of the game where the randomization factor won’t be that prominent, but would still play a minor role. Talking to family members, for instance, should be handled appropriately; talk to an upset family member and that will usually (and we repeat, usually) help. Giving strangers items will often result in some nice rewards. And sparing a person’s life could often earn you some valuable allies in your team of survivors. Nowadays, radios have been replaced by connected smartphones in many ways as the main source of information during disasters. But the radio still plays a key role in keeping people updated in the real world, and it’s the main thing that will keep you updated in 60 Seconds. This item will let you know if there are rescue teams coming to save you, if there are items worth scavenging for, and can even help you in fixing other broken pieces of equipment. Last, but not the least, you should make the Scout Handbook your friend, and tap on items if you need valuable information. The Scout Handbook, for starters, dishes out new game tips per day, and tapping on food or water reserves shows you how many you have remaining. You can also tap on family members to check on their state of mind or physical health. Use the information you glean to act accordingly, and you’ll end up enjoying more success than failure in 60 Seconds.